.△. T h e E a r t h I s s u e .△. “The Earth Issue,” is a collaborative print publication by environmentalist photographer Elena Cremona and Archive Collective Magazine, an independent art platform in Montreal. It focuses on the intersection between fine art and environmentalism, exploring our relationship with the natural world through a range of creative media from film photography to ceramic sculpture and performance art. 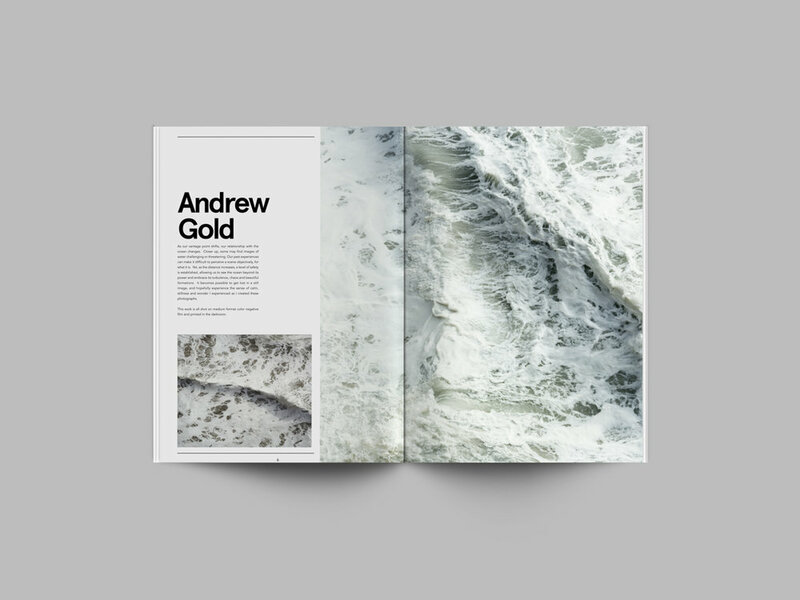 The Earth Issue features the work of 29 up-and-coming and established artists, photographers, writers and designers. In common, they share a dedication to honouring the beauty of nature through their work, using art as a driving force for environmental activism. 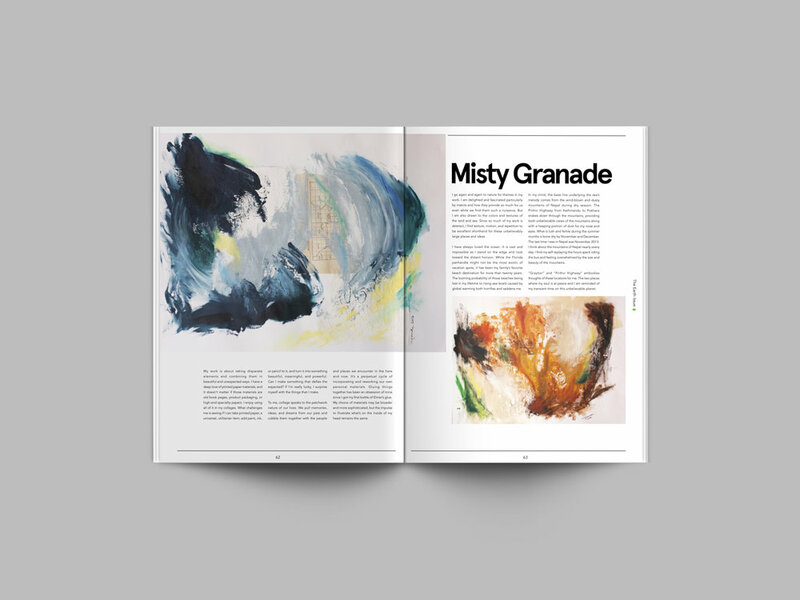 The collaborators of this publication aim to highlight a growing interest amongst young artists to awaken society’s complacent consciousness towards the environment; to inspire and harness the power of social change. Climate change is among the most pressing of contemporary global concerns, not only for the sake of ensuring the safety and wellbeing of future generations but also because of its tangible and destructive effects on present-day (human and non-human) communities. So pervasive are its effects that activist and author Naomi Klein has called climate change the world’s « meta-issue, » in that environmental degradation renders vulnerable every living being on Earth. In light of current global disasters- from droughts to wars for resources, from floods to marine pollution, it has become increasingly clear that these complex challenges must be tackled as an urgent and united social effort. The movement towards more sustainable societies requires not only shifts in technology and policy, but also a radical transformation of our underlying social values. The need of the hour is to create innovative platforms for dialogue and collaboration between policy makers, academics, cultural thinkers, environmentalists, scientists, and different sectors of the civil society. Coming together to effectuate change requires a deep cultural change which allows us to recognise our shared interesting environmentalism, negotiate solutions, and move together in a mutually beneficent direction. The problem is that for many of us, climate change remains an abstract concept; learnt through the dry language of science and statistics and far removed from tangible everyday existences. We, therefore need to find ways of reaching deeper understandings of environmental issues, by engaging with them through multiple and trans-disciplinary approaches. How can we find ways of talking about climate change that is engaging, non-hierarchical, sensitive to positionality and flexible to change? How can we inspire responses that are not only rational but also emotionally charged and subjective? Arts and culture have always played a powerful role in raising awareness about complex issues, galvanising public opinion around a shared vision, and effectuating mental or physical transformation. This role is vastly under-realized when it comes to climate change, but creative thinkers are increasingly coming together to bring innovative perspectives to environmentalist efforts and strategies. Art has the power to advance environmental movements in ways that are unavailable to most other approaches, in that it appeals to people on the level of intuition and meaning. It's inherently trans-disciplinary form can help create new narratives which could lead to alternative, compelling solutions. 1. The sensual/sensory approach : These were artists who engaged with the theme of environmentalism by drawing inspiration from the beauty of the natural world, and transmitting their respect for it through artistic mediums. Natural landscapes, colours, tones, moods and elements acted as a starting point for their creative expression, with the intention of re-engaging the viewer with nature through poetic and emotional representations. 2. The investigative approach : These were artists who used their artistic practice as a means of exploring topics at the frontier of nature and culture. Their works investigated the human relationship with the natural world and attempted to understand how people perceive, approach, or interact with their surrounding environments. The investigative approach delved into the possibility of reimagining the way we engage with the natural world or proposing new ways of co-existing within in. 3. The narrative approach : Lastly, these were artists who attempted to shed light on a specific environmentalist issue, bound in a temporal and geographical context. At times this took the form of journalistic or documentary-style storytelling, as a compelling way of raising public awareness about issues outside the scopes of our everyday lives. In other cases, their art was used as a vehicle for activism, specifically rallying for action or change. These projects aimed to inspire the viewer to join forces in the efforts against environmentalist issues such as climate change, destruction of natural habitats, deforestation, or land and water pollution. The creative projects brought together in this publication are a glimpse into the diverse possibilities for work at the intersection of art and environmental sustainability. Through acts of inspiration and activism, photographers, writers, painters, and artists have the power to bring environmentalist initiatives to the forefront of cultural discourse. 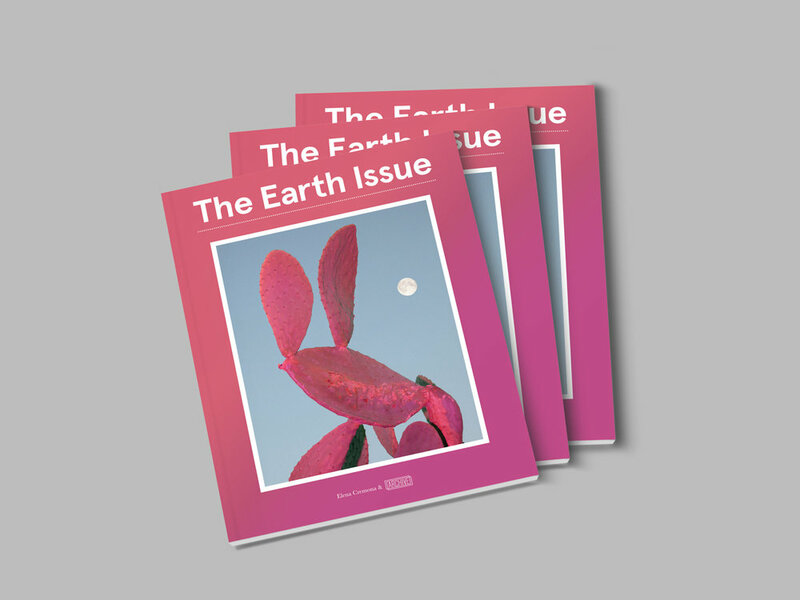 “The Earth Issue” is a celebration of the creative intersection between art and environmentalism, and we hope that it can serve as inspiration for future collaborations and discussions on the topic. The Earth Issue is due to launch in January and is available for pre-orders via Indiegogo. From January onwards, it will be available for online purchase on Archive Collective’s website as well as in selected retailers in London. Keep posted about the release event in London on Instagram - the issue launch will be accompanied by live art and video projections, educational talks from climate change experts and the participation of artists from a variety of different backgrounds who are showcased in the magazine. Collaborators: Andrew Gold, Vilde Rolfsen, Kieran Behan, Carla Cascales, Steve León Brown, Zuri Camille de Souza, Marco Barbieri, Alba Giertz, Jim Frazer, Elsa Leydier Lucas, Sere Peltzer, Ana Maria Guera, Luca Tombolini, Wara Bullot, Ram Vafa, Nora Lowinsky, Javier Kaplan, Georgia Noble Samuel Zeller, Elena Cremona, and Adam Popli, Elizabeth Fleur Willis, Joseph Barnes, Miguel Rodriguez, Misty Granade, Rachel Thomson, Georgina Parker.